ElectricaPerthl Contractor, servicing all suburbs throughout Perth, Western Australia. CAPA Electrical have been providing a high standard of electrical services, fire alarm and emergency lighting maintenance to domestic, commercial, industrial and property management clients for the last decade throughout Perth metropolitan area and most of Western Australia. CAPA Electrical is Perth based family run business. We have been providing electrical services, fire alarm and emergency lighting maintenance to our domestic, commercial and industrial clients since 1995. 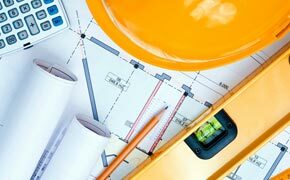 Perth Electrical Contractor that specialises in the supply, installation, servicing and maintenance of electrical products throughout Perth, Western Australia. We are safe accredited electrical contractor and work to current Australian Standards. Excellent customer service and quality management is very important to us as well as providing a friendly, reliable, professional and competitive service to all our jobs big or small.That makes us different from other companies and more competitive. Our client base is predominately from referrals and repeat business and we believe this is due to us providing a great service from start to finish on all our jobs. To provide a complete solution to your electrical needs across all metropolitan areas. Our fully licensed electricians are equipped with the skills to provide electrical services of the highest quality. We pride ourselves on professionalism and our ability to provide a high standard of personalised services that will meet your specific electrical requirements. CAPA Electrical will cater to all your needs in residential, commercial and industrial fields. We specialise in lighting for residential fit outs, shop fit outs, building maintenance and refurbishments. Drawing on more than three decades of electrical industry experience, the team at CAPA Electrical deliver the highest possible standard of electrical installation and servicing to homes, businesses, schools and other facilities throughout Perth. From power point and safety switch installation through to emergency lighting and electrical maintenance, all work is fully guaranteed.